Excellent pressure washer with minimal assembly and powerful induction motor. Click&Clean accessory system. Features Tornado pressure regulating nozzle for full control of cleaning force. Telescopic handle and wheels for ease of use. With easi wind integral through feed hose storage reel and on board storage. 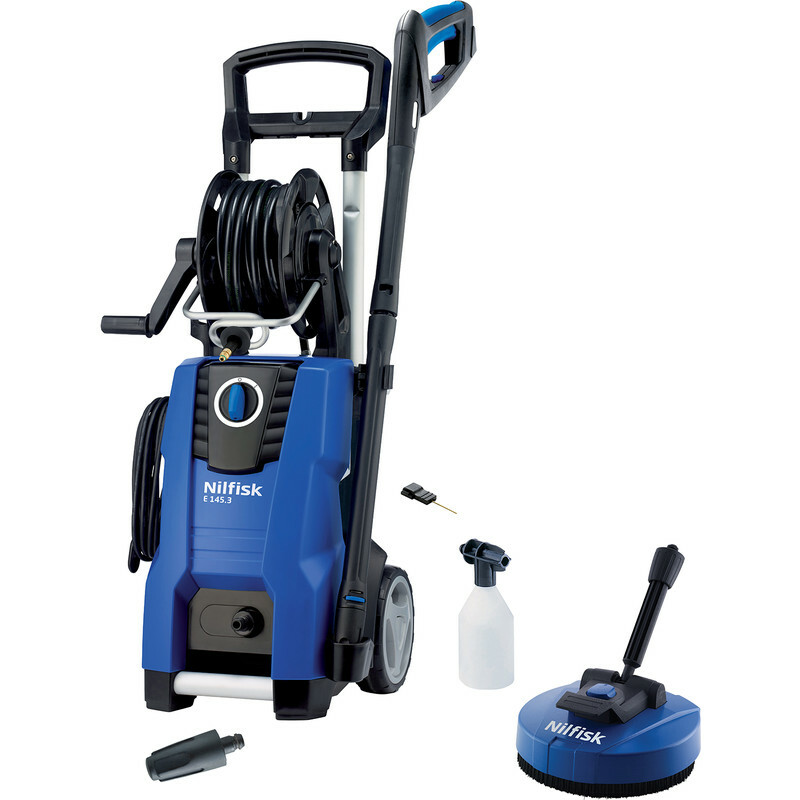 Includes mid patio cleaner, 8m drain & tube cleaner, 9m high pressure hose on a through feed hose reel and 5m cable, G4 trigger gun with click connect and hose swivel, G4 Click&Clean lance, Click&Clean Powerspeed rotating pencil jet nozzle, Click&Clean foamer nozzle and detergent bottle.